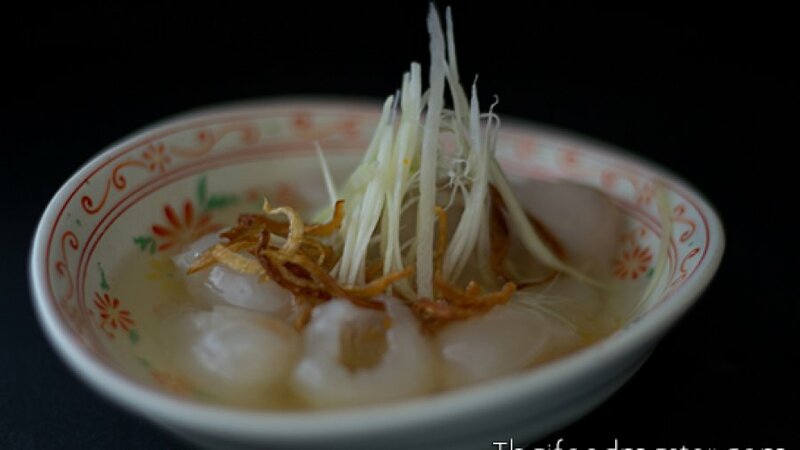 The first reference to sohm choon as a dessert appears in in the early 1800s, in the culinary poetry of King Rama II gaap heh chohm khreuuang khaao waan (กาพย์เห่ชมเครื่องคาว – หวาน). The poetry was sung during the royal barge’s procession, and this verse refers to sohm choon as a dish made of lychees. 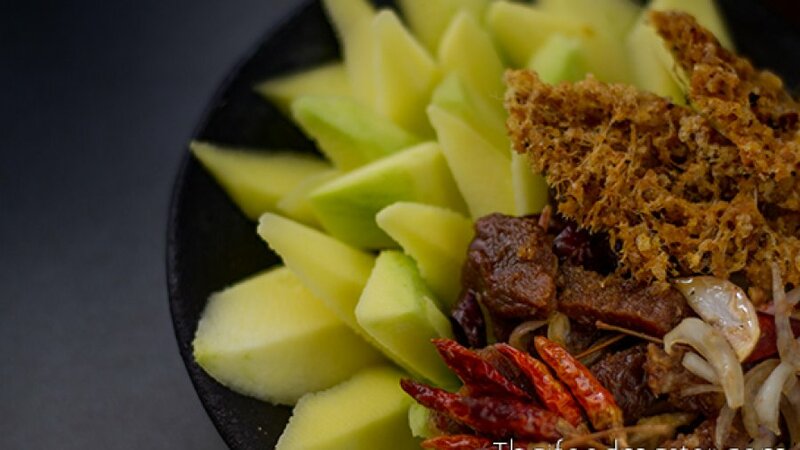 A closer look at other foods that are mentioned in the verse also reveals other dishes that are clearly of Chinese origin, such as boiled pork spleen (dtohm dtap lek ต้มตับเหล็ก), steamed bird’s nests (rang nohk neung รังนกนึ่ง) and persimmons (luuk phlap ลูกพลับ). 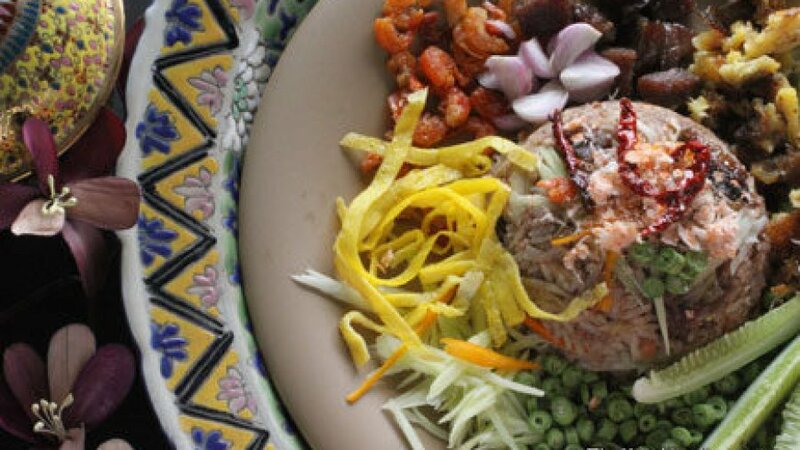 Yam sohm choon is a sour green mango salad served with grilled fermented shrimp paste; roughly chopped shallots; sweet pork condiment, deep-fried fluffy grilled catfish and seasoned with fish sauce, palm sugar and lime juice and topped with deep-fried dry chilies cut into small pieces. If you follow Thai movies and TV dramas, you probably remember Sohm Choon, the adorable boy ghost character from the period romance movie Reun Mayura (1997), which was a love story between a beautiful woman and a handsome man living in different periods of time. 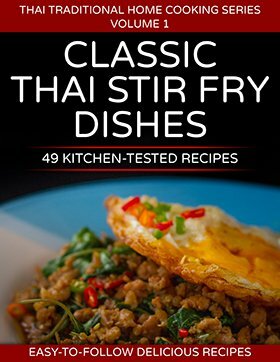 สูตรทำข้าวคลุกกะปิของ หม่อมเจ้าจงจิตรถนอม ดิศกุล – Rice Seasoned with Shrimp Paste Recipe – Each of the dish’s components is separately prepared and set aside, and mixed individually for each serving. 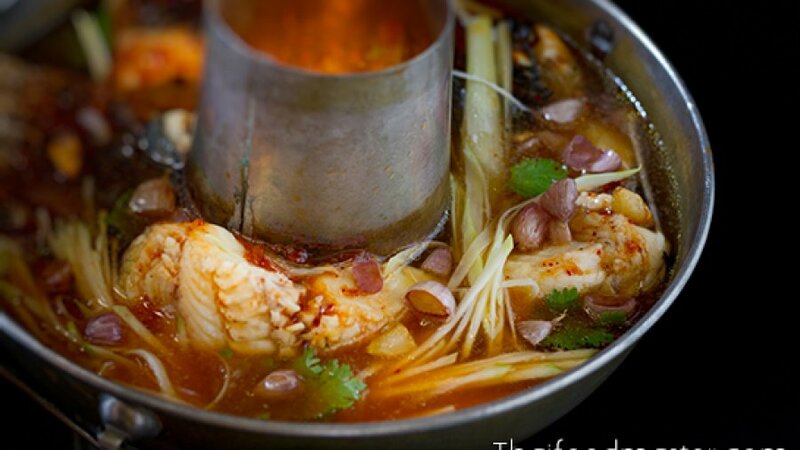 A pleasant harmony of several flavors is created – complex and profound in taste, the dish is a stunning display of confidence. There are many variations of this dish: I have chosen to publish the version described by Prince Johngjit thanaawm Disagoon. This is the very same version prepared for King Chulalongkorn the Great during his unforgettable trip to Italy.